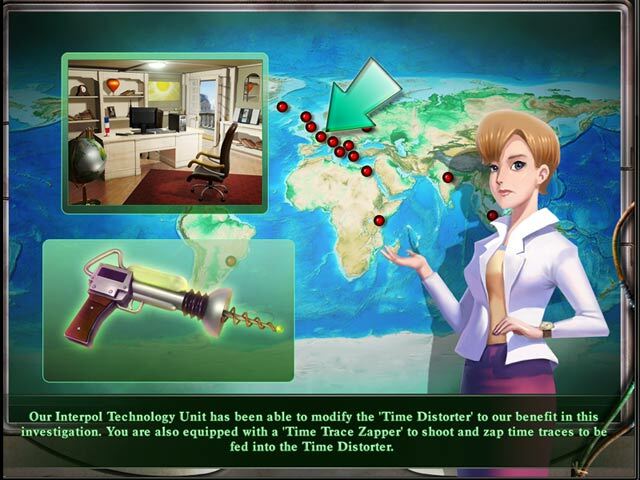 Travel between the past and present to solve a dastardly crime in Time Chronicles: The Missing Mona Lisa! The Mona Lisa has been stolen and scattered through history by the mysterious "Time Chameleon." Use your hidden object skills to search scenes for clues and open a pathway through time. Watch as the modern world fades and a bygone era emerges. See what changes—and what stays the same! You never know where you'll end up next, from a medieval garden, to Edo-era Japan, to the Taj Mahal and beyond. It's up to you to recover the painting before the damage to the timeline is irreversible! 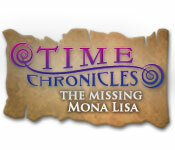 Time Chronicles: The Missing Mona Lisa is rated 2.0 out of 5 by 55. Rated 5 out of 5 by Plientje from great pure HOG game! don't understand all the bad reviews. Nice game if you love pure, simple hog games. Not all games need to be adventure, if you like those, you are more then spoiled with other games. This is simply another kind of game, no need to kill this one off because it's pure HOG. Loads of items to look for, timer gives you so much time it doesn't matter that it's there. no junk piles, just very crowded rooms. Items are not too small, they are just there for grabs if you look close enough. Nice challenge level, not too easy, not too difficult either. The only thing I miss is achievements or extra's. I always like to get something extra if you finish a level without hints etc. Enjoy your gaming!! I higly recommend this game!! Rated 5 out of 5 by Umma777 from Fun Hidden Object I loved it. It is a true HIdden Object. Not a Hidden Object Puzzle game. I was missing the games that were just Hidden Object rather than all the puzzles that make you keep going from place to place. So if you're looking for just Hidden Object this is the game for you. The timer is not an issue, you always have plenty of time. Rated 5 out of 5 by Alee7383 from A True HO Game Finally! I do not know what is wrong with the people that wrote a negative review on this game! A true HO game! Lots of HO's, so those of you who are TRUE HO gamers this is the game for you. They are NOT hard to find. I am not a fan of going back and forth in a game BUT this one was very good! The Big Fish games finally brought in a game that you didn't need to have a blog, a walkthrough, a collector's edition, a stradegy guide etc. and there was NO BLOOD and GUTS! Most of the games on Big Fish and now other sites are doing it is all the garbage I just mentioned and are not a good HO's. This game is excellent. To me the negitive people need to be told and shown how to play with all the guides the games need lately...then why bother playing a game, your not playing it...the guides are. I for one like to play the game on my own, with the tutorial in the begining is fine. So HO lovers this is the game for us. Try it, please don't listen to all the negitive, it was clear, lots to look for, a challenge, just all around good HO.Oh and by the way, some of you should read and listen to the "tips for writing a helpful review." Rated 4 out of 5 by arnold1049 from THIS IS A TOUGH ONE This is one of the hardest straight hidden object games I've ever played. Although there is a storyline, it is really just one hidden object scene after another, with a few, very easy, puzzles thrown in. 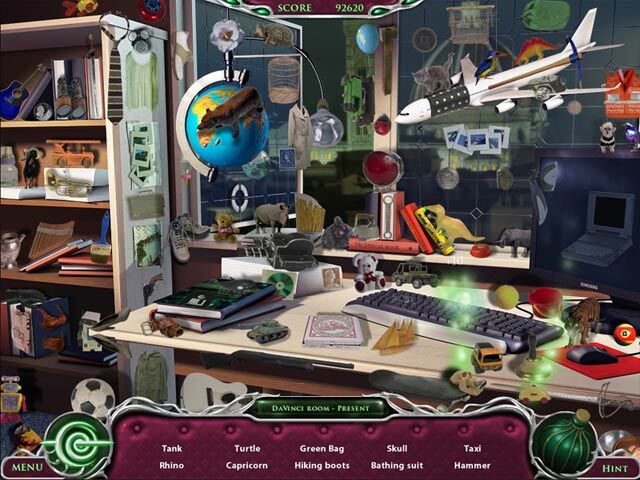 The puzzles and locations were repetitious, but in the case of the hidden object scenes, there were new, different hidden objects to find for each location. The storyline was based on time travel, with each location having a past and present scene. However, all the objects in both time frames were current objects, nothing at all related to the past time of the location. I guess that was necessary, as old items would not be familiar to most players. What is really hard in this game is finding the hidden objects themselves. I think the creators really wanted to frustrate the players. Here are some examples: 1. Gun would be on the list to find, but there would be several guns in the scene; you have to keep clicking on each one until you find the right one. This happens a lot with different objects; boxes, chairs, etc. 2. Objects with the same name looked different in any given scene. For instance, when looking for pumpkin, one scene was actually squash, while other scenes were the actual big orange things. 3. Object names do not fit the object. In one location, the object was fan, but turned out to be a hair dryer, yet in another location, hair dryer was the name of the object and the same item fit both descriptions. Another example that was at least consistent throughout the game was duct tape; in every scene where that was an object to find, the object was actually black electrical tape. Many times, the only way I figured this out was to watch the list to see which object disappeared when I clicked on it. Very frustrating. 4. Most of the objects are very tiny. 5. Many of the objects are hidden behind other objects and are practically impossible to find without using a hint. Even after finding their location with a hint, it was sometimes very hard to get it clicked on correctly as so little of it was showing. With all of these issues, add a time constraint on some of the locations, and I just about pulled my hair out. All of the above results in lots of "guessing" clicks and the need for lots of hints. Thankfully, there was no penalty for over clicking and the hint button recharged fairly quickly. I believe I used more hints in this game than all the other games I've played put together. I see that this game is rated pretty low, but I kind of liked this level of challenge in a straight hidden object game. 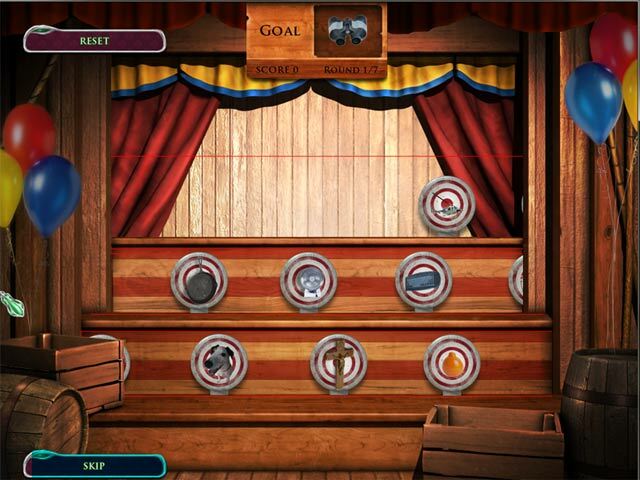 Most straight hidden object games are not too hard and tend to be fairly relaxing play. This game cannot be described as relaxing at all. I actually liked the game enough that I went looking for more Time Chronicles games, but didn't find any available. I might play this one over again, something I rarely do, just to see if I can do any better. Rated 3 out of 5 by Lazeedragon from Strictly HO pros -graphics are drawn very well -cannot comment on sound except no vo's -in between pros and cons one hos to another cons -junk piles -items on the small side *this is a no buy for even on sale or will i waist a game code on it. *personal thoughts i would have loved this game 5 years ago but after playing the newer and much improved games out now i have become spoiled...lol that is not to say someone else would love this game! so even tho i will not buy this myself i will recommend this especially for HO lovers ^^ at least give it a try. Rated 3 out of 5 by cbeaudry from Time Chronicals-Missing Fun I guess in this day and age, we are numb to plain old HOGs and need more to keep us entertained. I played this game on casual mode. The graphics are OK but the hidden objects are just a pile of things scattered around your scene. There was one mini-game in the time that I played. Perhaps if there were more throughout the game it wouldn't seem so tedious. If you are going to use the hint button, pay attention, as the sparkle is very short lived. I wouldn't bother purchasing it, as I didn't even finish my trial version. Rated 3 out of 5 by TeachumWell from An Almost Great Game I really wanted to like this game. I really did. The story sounded cool, the music was spooky if a bit annoying after a while. The characters are nicely drawn and the font for dialogue and directions is clear and very readable. So what happened? In a word-playability! The HOG scenes are blurry and oddly colored. The hint bottle refills quickly but it's often hard to see where the hint sparkles are pointing. But the biggest downer for me was the timer! Timed HOGs are frustrating at best, but with it's unclear directions and short duration, it became an exercise in frustration. For all these reasons, I can't recommend this game. Despite it's good points, it's just too fulla problems. Rated 3 out of 5 by BeccaLeah from Not dark and dreary, but timed only. I don't buy games without the option of turning timer off.